Every year, I do my very best to source my Christmas foods locally – and living in such a fabulously foodie area, it’s surprisingly easy to do. Restaurants place such an importance on food miles and rightly so, but it’s not just about the environmental impact, it’s about supporting those small businesses who a passionate about their products and who are relying on you for survival. So, here’s my guide to the best places to source delicious food and drink for your festive celebrations in the Wye Valley and Forest of Dean. weeks, or at lasting bringing some goodies to a friends gathering. One of the most popular drinks at this time of year, and perfect for the colder weather is Mulled Cider and, being in the heart of the British cider country you’ll find yourself spoiled for choice. I think a medium cider is most suited to mulling, you are then in control of how much sugar or honey you add. I like Awre based Severn Cider, a family business dedicated to its art. 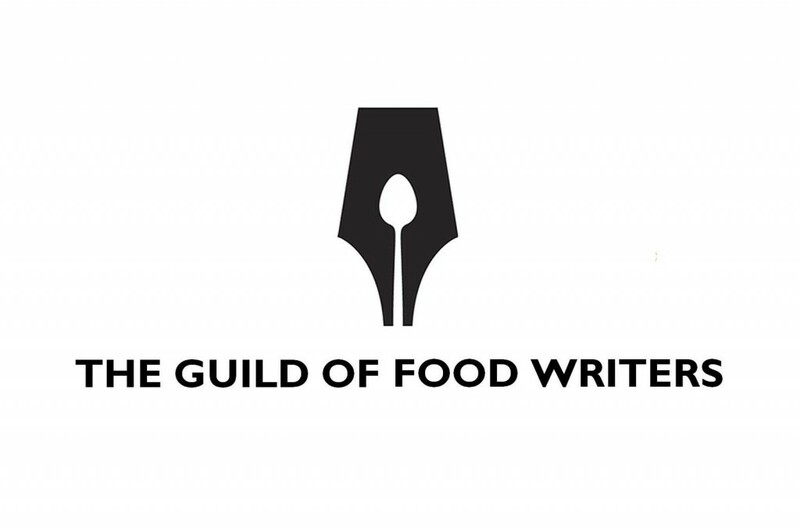 I enjoyed a tour and tasting a few weeks ago with other members of The Guild of Food Writers and was extremely impressed by the quality and variety on offer – we were immediately furnished with mugs of mulled cider which was very welcome after a long, and rather, chilly day. I like to add honey, cinnamon, cardamon, apple slices, grated nutmeg and a splash of cider brandy (Dymock’s Charles Martell’s is perfect) – but its all down to taste, and you can cheat with one the supermarket sachets, then add some cinnamon sticks and apple. And what to serve alongside your mulled cider? How about a good old sausage roll – surely an essential part of Christmas! I love the delicious Wild Boar sausage rolls from Cinderhill Farm in St Briavels, it’s hard to stop at one (and they are extremely generous portions). Served alongside one of Chepstow based, Claire’s Kitchen’s chutney they make a very simple addition to any drinks party or buffet. Many people look for a simple, no cook starter for their Christmas Dinner, I think that really top quality smoked salmon fits the bill perfectly – my personal choice would be the smoked Var salmon from Chaxhill’s Severn and Wye Smokery. Having been lucky enough to tour the factory recently, I learned a lot about the different varieties and curing styles. Having tasted my way though their entire catalogue I settled on the Var which offers a good balance or smokey richness and full flavour. Served alongside some good local bread and a handful of organic leaves, it allows plenty of time to relax with your guests before the main event. There are the traditionalists who favour a good free range turkey – I have ordered mine from Monmouthshire Turkeys near Raglan – and those who look for a different option so how about a Free Range Goose or Slow Cooked Confit Duck from Madgett’s Farm? Well known throughout the area they offer a really good selection of poultry and game, and make some rather excellent sausages and stuffings to serve alongside. Veg is from Organic grower Paul’s Organic Veg. For really fresh brassicas (including those essential sprouts) Paul is your man and he offers veg boxes of various sizes to take all the veg buying hassle away. Next you’ll need some really good sausages and bacon. I think its hard to beat the bacon from Trealy Farm, found in some of the most exclusive hotels and restaurants in the UK, the charcuterie is second to none. For sausages, the Cowshill Herd in Hewelsfield are my first choice, their rear breed pork sausages are perfect for wrapping and serving alongside the bronzed bird. Pudding, or cheese and pudding? Of course making your Christmas Pudding is preferable but where cheeses are concerned we are extremely fortunate. A good cheese board should comprise a hard cheese, creamy, goats and blue. A good start would be a wedge of Smart’s Double Gloucester, then a round of deliciously soft Angiddy, a Welsh cheese made from Jersey Milk at Brooke’s Dairy, a slice of the internally famous Stinking Bishop and for a blue…..well, you may have to nip out of the area, The Marches Deli in Monmouth has some excellent and well-kept artisan cheeses and they are always happy to guide you through them. If a heavy classic pud is a little too much why not try some extremely naughty adult ice-cream from Forest and Wye, this artisanal ice-cream comes in flavours such as Baileys and Kahlua, Islay Whiskey and Coffee and Speyside Whisky and Coffee – all remarkably individual and all packing a definite punch. They’re more conventional flavours are pretty fab too – or for those in the Monmouth area its hard to beat Green and Jenks Italian Gelato, take-home packs always available. So to finish a good meal you need a good digestive and some choccie. Again, I would turn to Charles Martell and one of their devious perry, cider or plum spirits – these are a real treat. The Chocolate Bar in Lydney’s Taurus Crafts is one of the best local makers of fine chocolate, with a moreish selection knowing when to stop buying can be tricky but some good truffles on the table to serve with coffee are essential. Whatever your foodie preference this Christmas, look about you and explore. Half the fun of the festive season id sourcing all those seasonal goodies that you restrict during the year – indulgence is Christmas and in the Wye Valley and Forest of Dean, you can indulge to your heart’s content! Your blog is amazing, and your background is SO interesting!!! Food and travel, food stylist, food consultant…. wow! And you get to spend time between England and France? Sounds like a dream. Loved your food photographs and I am a foodie myself. Having gone to the French Culinary Institute in NYC for pastry, I love styling my desserts and taking photos as well. Keep sharing the wonderful things you do with us! Thank you so much – I suppose it is ‘living the dream’ – I feel so grateful to live in such fabulous areas!